Tiffany & Co’s inimitable sense of chic finds its way through the ages. The apparently strict design of the Square breaks free of geometry to express supple elegance. 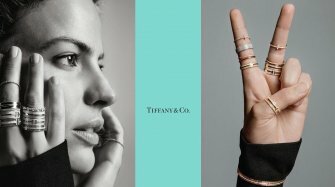 New York is a city featuring exemplary Art Deco architecture and Tiffany & Co is the New York jeweler that enjoyed its heyday during that same period. 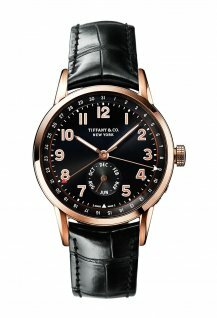 Tiffany’s contemporary watchmaking thus pays permanent tribute to this style. 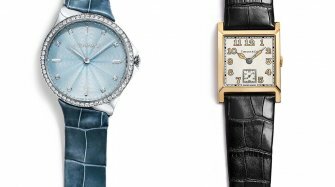 The 1920s were synonymous with “form” watches and to celebrate its 180th anniversary, Tiffany has chosen the most demanding shape of all : the square. 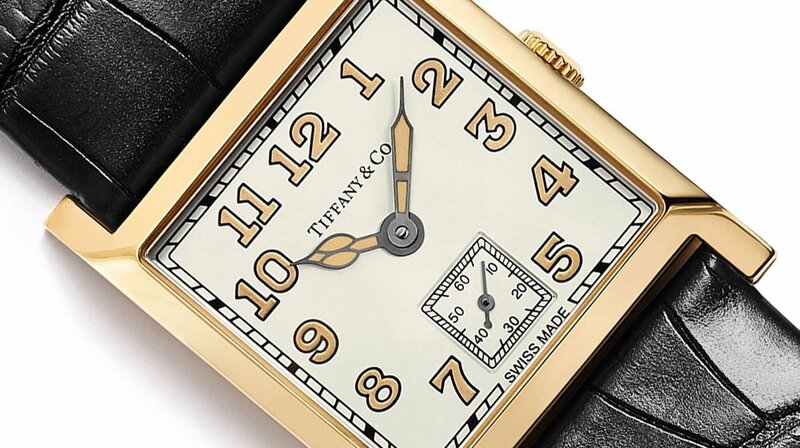 The new yellow gold Square model measures 27mm along each side, or 35.9mm taking account of the lugs. From the side, however, it breaks with geometrical rules and focuses on details. The polished bezel is almost vertical, giving a pleasing depth effect to the watch. The case middle is satin-brushed, thus accentuating its sloping lugs. 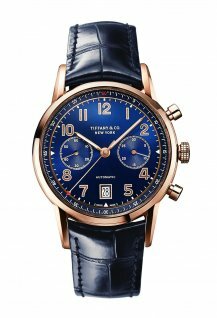 This model also meets high mechanical standards, since Tiffany is unveiling its first Manufacture caliber, a slender manual-winding “form” movement that fits snugly inside the barely 7mm thick case. 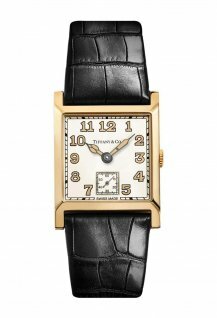 Small seconds are displayed at 6 o’clock on the cream-colored dial featuring railtrack minutes and swept over by cathedral hands, all conveying an aura of retro elegance that never goes out of style. 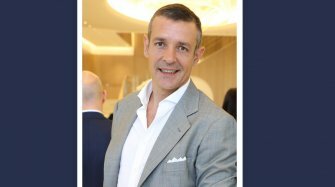 Square © Tiffany & Co.